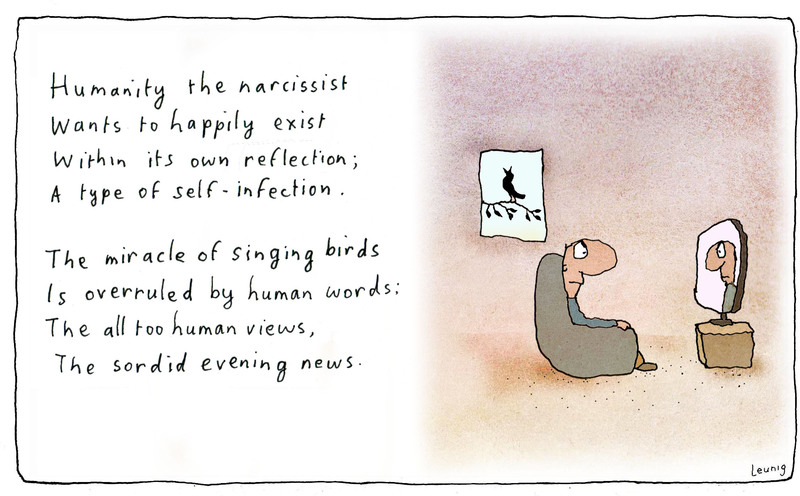 Michael Leunig is a Melbourne based cartoonist and social and cultural commentator. His best known works include The Adventures of Vasco Pyjama and the Curly Flats series, which features recurring characters The Duck and Mr Curly. 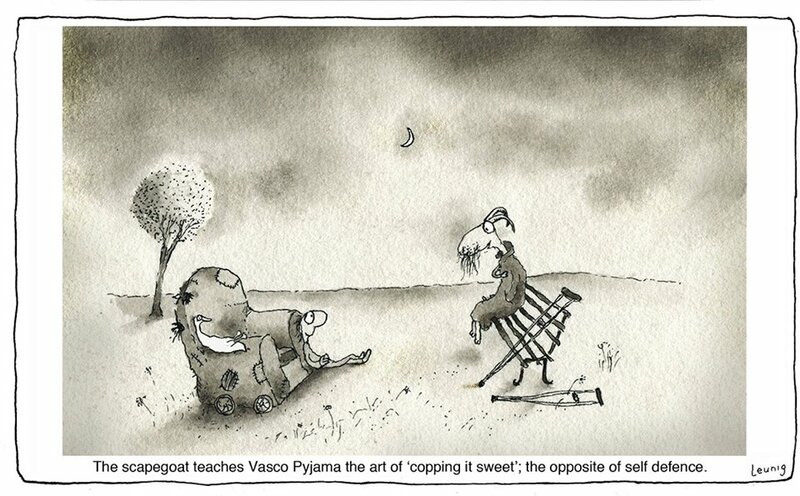 Leunig’s drawings are famously sparse, usually in black and white with the human and animal characters. 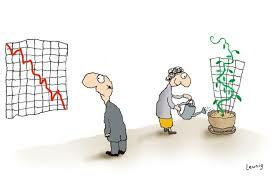 Over the years he has gained a loyal following for his quirky take on social issues. He has frequently satirised concepts such as globalisation, greed, consumerism, corporations and warmongering, as well as spiritual and religious themes. 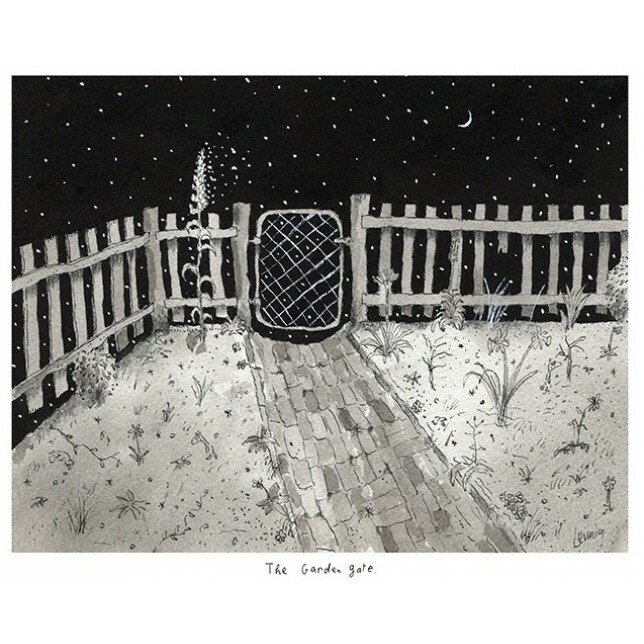 He also iconically presents a world of whimsy, in contrast to the sorrows of our current world, featuring characters besotted with teapots, fantastically curled hair and many goats and ducks. 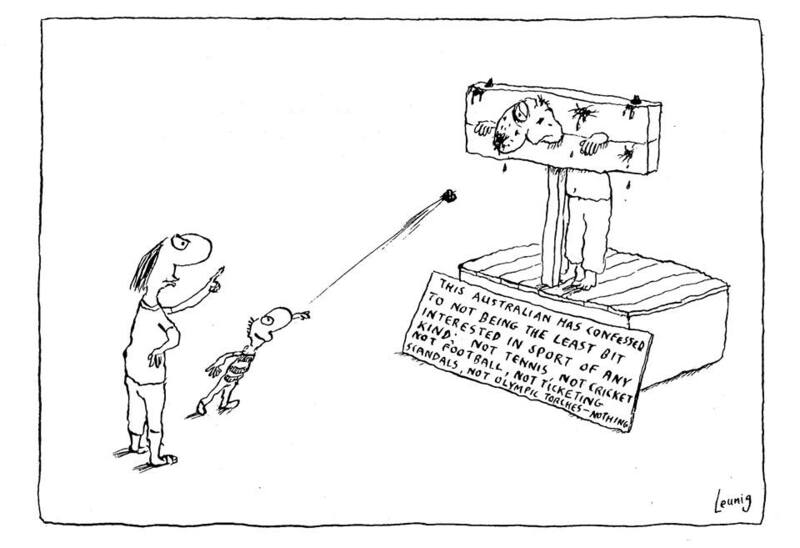 My own favourite is a recent comic below, satirising leadership. 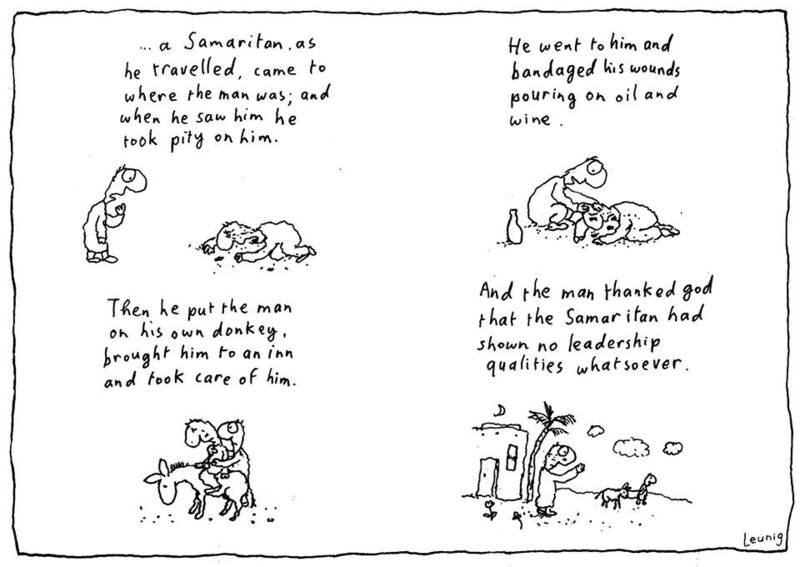 With a few pen strokes Leunig, without a hint of religiosity, puts his finger [or rather pen] to the point of the gospel. 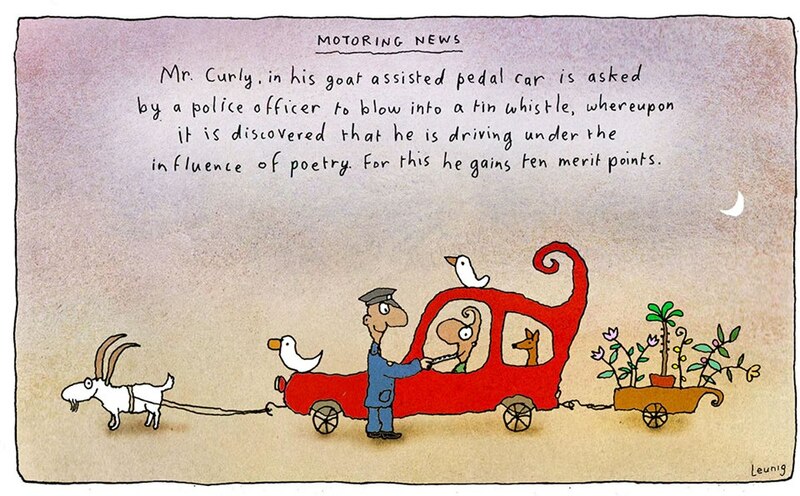 For more Michael Leunig you can follow his Fan Page on Facebook or check out his website here.